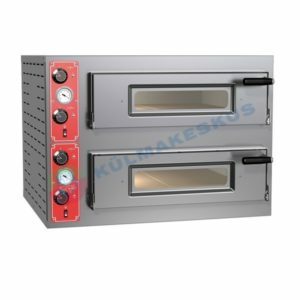 Electric ovens with a top refractory surface and steel armoured heating elements. 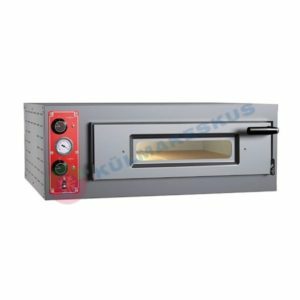 Stainless steel front and stainless steel door with glass and handle on the left side, with an analog thermometer, two mechanical thermostats perchamber, heat resistant light. The insulation is evaporated fibreglass.